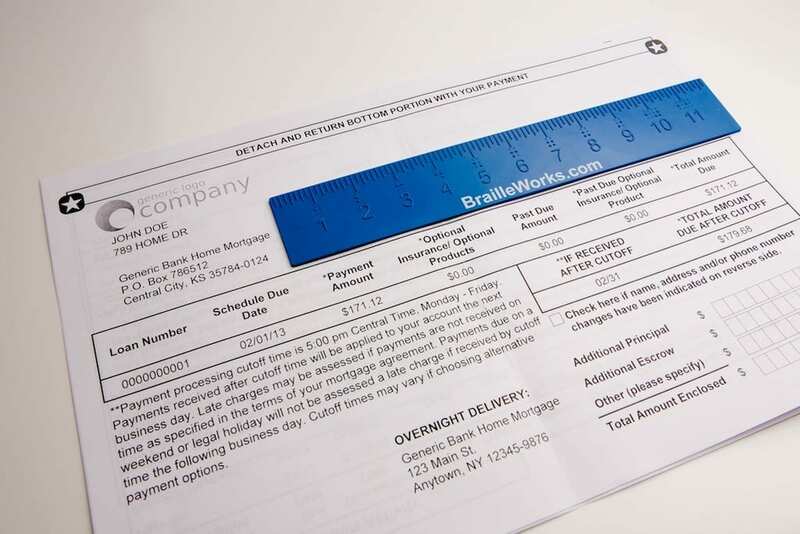 At Braille Works, we realize that creating Large Print documents is much more than simply increasing the font size. 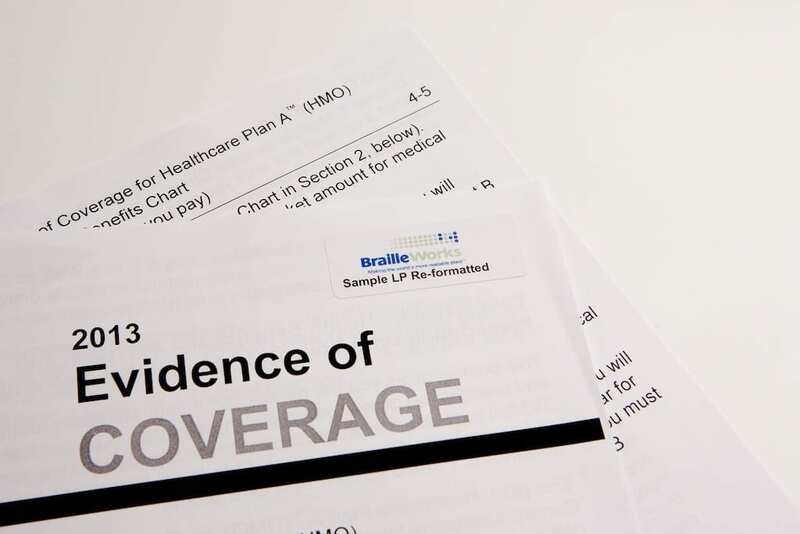 Our Large Print transcription process has been tested by people with visual impairments and developed to provide the best possible structure for ease of reading. It’s important to know that changes in format like BOLD, ITALICS and COLOR can make a document difficult to read for a person with low vision. We don’t rely solely on automatic conversion software. Our transcriptionists carefully analyze the structure of your document and every detail to create a Large Print version that is easily readable and aesthetically pleasing for visually impaired individuals. Request a free no obligation quote today by filling out the form on your left. You’re also welcome to call us anytime at (800) 258-7544 if you have specific questions. Document File Formats: Acceptable formats include MS Word®, Text documents (.rtf or .txt), PDF, AFP, Excel, PowerPoint and/or hard copies. Files submitted electronically in MS Word® or Text format are less labor intensive to set-up and therefore less expensive to transcribe. Timing: No two jobs are alike. We will work with you to develop an acceptable timeline. 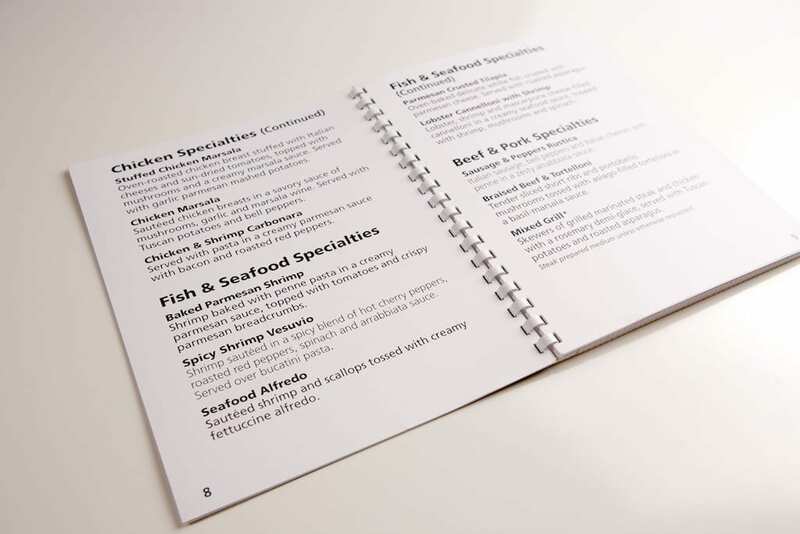 Paper: Large Print documents are normally printed on 8 ½ x 11 inch paper, but can also be produced on a variety of paper sizes up to 11 x 17 inch, single or double sided. Documents are then stapled or bound, and packed for shipping.